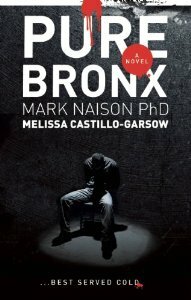 Hop off the BCA’s Bronx Culture Trolley at The Bronx Museum and hear Bronx authors Mark Naison and Melissa Castillo-Garsow discuss their latest book Pure Bronx. Pure Bronx is an action packed, drama filled story - more potent than just any coming-of-age tale from the hood. Packed with more drama than straphangers on the 1,2, 4, 5 and 6 trains at rush hour, Pure Bronx is a page-turner that’ll make you cheer, bringing tears, and laughter. FREE event and FREE guided tours of the galleries. The Bronx Culture Trolley is a project of the South Bronx Cultural Corridor. Making a cultural loop through the lower Grand Concourse and in other sections of the Bronx, it provides an innovative way to travel free while giving Bronxites and tourists alike the opportunity to sample several of the area’s hottest cultural attractions, dining establishments and entertainment venues. For more information or to get details on riding the FREE Bronx Culture Trolley click HERE.